Last night, everyone’s favorite Belly Room show made its return to the masses with the premiere of Roast Battle II, and the masses ate it up. 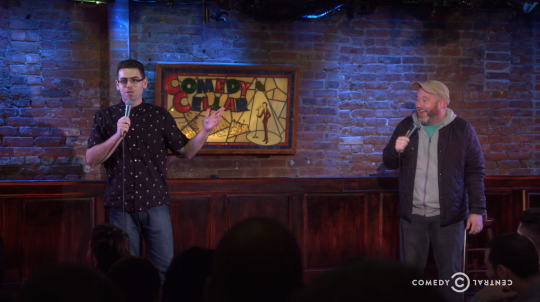 The internet fawned over the show’s beautiful mix of comedy and cruelty, and as the regionals rounds play out over the next couple of weeks, the nation looks like it’s in for a delightfully bumpy ride of insult comedy piloted by Jeff Ross and Brian Moses. 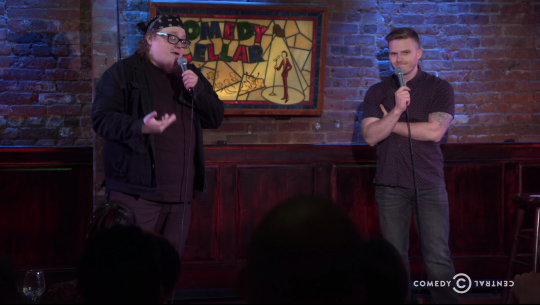 New York City was this season’s first stop in the search for comics to battle in the four-night tournament airing at the end of this month. The East Coast’s finest have a handful of roast dojos they can work their craft in, but most of the battlers seen tonight are regulars at The Stand’s The Roastmasters, the official sister show to the one produced at the Comedy Store. While the brackets still have not been released, judging by the quality jokes and performances shown here, it’s safe to say that at least a handful of New Yorkers will be taking a trip out here in a couple weeks to get down and dirty in the old House of Blues. 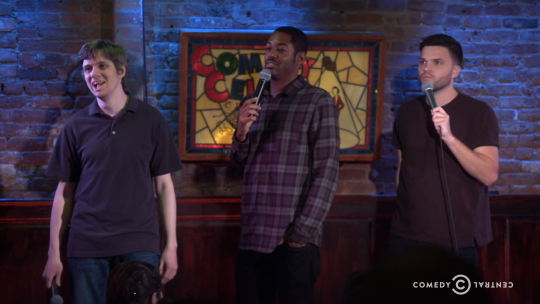 After introducing the night’s judges – Jay Pharaoh, Jim Norton, season 1 champ Mike Lawrence, and former Comedy Central Roast staple Lisa Lampanelli – Jeff and Moses kicked the show off with a bout between Eli Sairs and Scott Chaplain. For the most part, it remains a pretty close match from a judging standpoint, with many judges having trouble deciding which of the two deserved the win. In the end, Eli takes the match with a 3-2 vote. After a quick commercial break to try and get the audience at home to adopt puppies or donate money to African children, the battle comes roaring back with Yamaneika Saunders versus J.P. McDade. 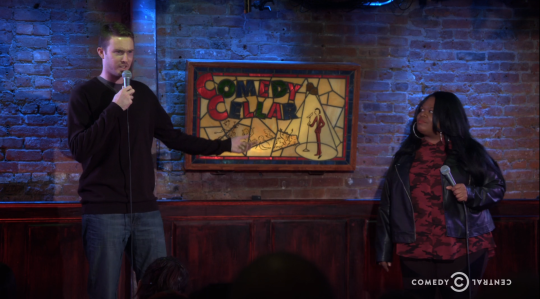 J.P. gets big points for his well-crafted jokes, earning votes from Jim Norton and Mike Lawrence, but the other three judges all pick Yamaneika as the victor for her swagger-filled performance. The next contenders in the ring are Evan Williams and Zac Amico. These two have put on some of the most memorable performances at The Roastmasters, with Zac currently holding the NYC title. Tonight, neither battler disappoints, bringing maybe the most vicious round of the night. “Guys, Evan is in great shape, but what can I say? I love home-cooked meals from my alive mom. The only recipe Evan’s mother ever left him was her toxicology report after she OD’d. 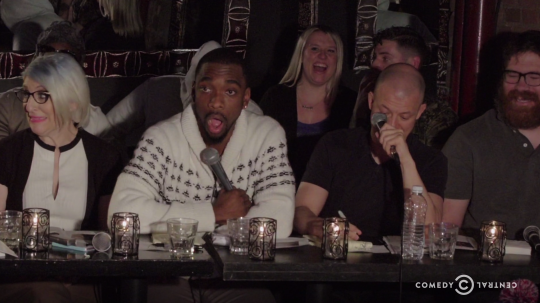 The judges, once again, have a hard time picking a winner, with both Jay Pharaoh and Jim Norton calling it a tie. Mike votes for Zac, Lisa votes for Evan, and Jeff Ross breaks the tie, giving the victory to Zac Amico. The battle that pushes us over the hump is a classic Muslim-on-Jew holy war: Dina Hashem versus her absentee father (played by Aaron Berg). Dina gets props from the judges for her deadpan delivery and savage writing. Aaron gets a mixed response to his performance. Some knock his decision to play a character instead of being himself, while others say that his balls-to-the-wall committment is part of what makes roasting great. Ultimately, Dina takes the W after getting the night’s first unanimous vote. After another round of ads for dying kids and sick puppies – seriously, how many sad commercials do we have to sit through to watch some killer insults? 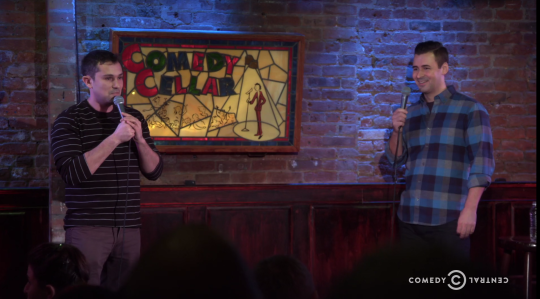 – we’re back with Mike Recine versus Pete Lee. 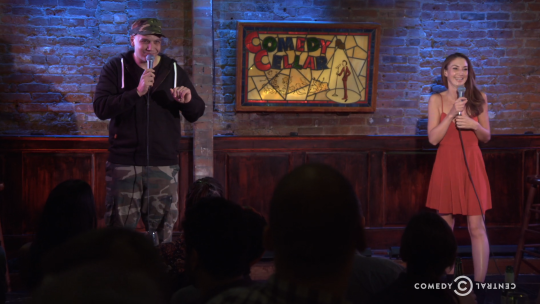 Mike’s joke writing is brutal throughout and is rightfully praised by the judges, but Pete’s performance and charisma winds up being what seals his victory, with every judge but Jim Norton voting for him. The penultimate match of the night is Sean Donnelly versus Patrick Schroeder. Jim Norton and Mike Lawrence vote for Sean, Lisa Lampanelli and Jay Pharaoh vote for Patrick, and the Roastmaster General breaks the tie by giving Patrick the victory. Finally, the stage is set for our last match: Luis J. Gomez versus Kerryn Feehan. These two are boyfriend and girlfriend, which earns a lot of pre-match speculation from the judges. After telling their origin story, the last two battlers of the night square off and get to work. It’s super close, once again, with Jim Norton calling it a tie, Mike Lawrence calling it for Luis, and Kerryn getting the nod from Lisa Lampanelli. 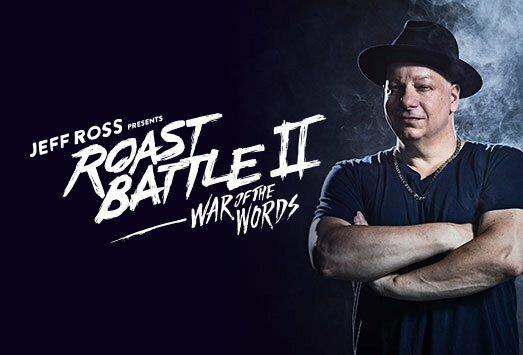 However, Jeff Ross calls it like he sees it: Kerryn had better jokes, but Luis is the better Roast Battler. Luis gets his arm raised in victory, and after some thank yous, we cut to credits. See you next week for the Denver and Atlanta regionals.